Opening Times: 08:00 - 17:00 Monday-Friday. At Deeside Dental Care, we pride ourselves on not only offering specialist treatment, but also being at the forefront of preventive and family dentistry. Please speak to one of our team members if any of your friends or family would like to join us at Deeside Dental Care, you can find our contact details below. Have your personal details changed? e.g address, contact number, e-mail, exemptions? Please inform reception as soon as possible. 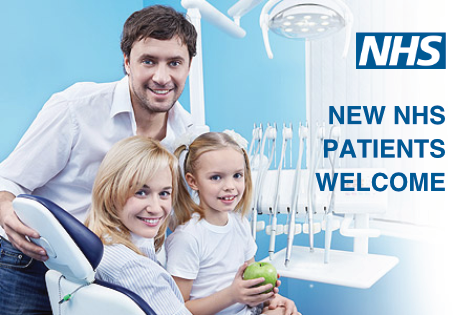 Cosmetic and NHS Dentistry for the family. Dental implants help make you look at your best. Facial Aesthetics, Tooth Whitening, Six Month Smiles. Deeside Dental Care, 75 High Street, Banchory, AB31 5TJ, UK. Copyright © 2015-2019 The Deeside Dental Care. All Rights Reserved.